Dr. Ann Marie Gallo (MEd '95) honored with 2019 Joseph McKenney Award from the Massachusetts Association for Health, Physical Education, Recreation, and Dance (MAHPERD). 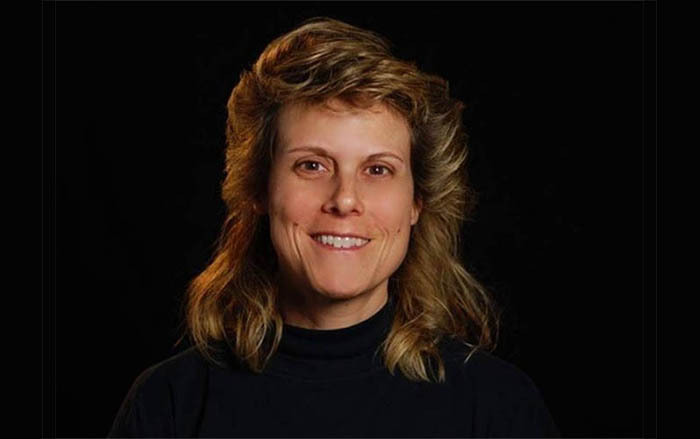 Salem State University Professor Ann Marie Gallo (MEd '95) of Medford, professor of sports movement science, received the 2019 Joseph McKenney Award from the Massachusetts Association for Health, Physical Education, Recreation, and Dance (MAHPERD). The award will be presented to Gallo during the 26th annual MAHPERD Award Banquet at the Double Tree Hotel in Milford on Sunday, May 5. Given annually, the Joseph McKenney Award recognizes an individual's distinguished service to one or more of the professions within the association and is the highest honor a member can receive. Gallo was nominated for her enormous contributions to physical education for young people. Gallo began her work with children, which spans over the course of 33 years, as a K-8 physical education teacher at the Roman Catholic Archdiocese of Boston in 1986. After, Gallo spent nine years as a secondary physical educator and coach at Minuteman Regional High school in Lexington from 1991-2000. Gallo founded Summer's Edge Day Camp in 1991. The camp, which resides on the Minuteman RHS campus, offers campers aged 3 and a half to 14 years old a wide range of sports, swim lessons, free-swim time, arts and crafts activities, hip-hop dance classes and camp events like carnival days, movie nights, talent shows, Olympic-style games, and tennis tournaments. "I want to share my camp experience and my love of sports and the outdoors, but more importantly, I am motivated to encourage kids to feel part of a community where they feel safe to challenge themselves in new ways all while feeling like a part of an inclusive community," Gallo said. "That's the Summer's Edge Experience to me." In addition to owning and operating her camp, Gallo stays connected with children coordinating FASST, a six-week after school program, at the Horace Mann Laboratory School. Gallo also works within Massachusetts public school physical education programs where she offers professional development workshops to fellow teachers in the areas of curriculum and assessment. Gallo received a bachelor of science degree with concentrations in physical education-secondary and athletic training in 1982, a masters of education from Cambridge College in 1995, and her doctoral degree of education from Fielding Graduate University, Santa Barbara, CA, in 1999. Gallo was a professor at the University of Massachusetts Boston College of Nursing and at the Fielding Graduate University before becoming a Salem State University faculty member in 2004. Since then, Gallo has taught a wide variety of courses in pedagogy and camp administration. She coordinates the undergraduate and graduate physical education teacher programs at the university. Gallo has been a member of MAHPERD for 33 years, and since 2003, she has served on the MAHPERD Executive Board chairing the Council of Future Professionals, working with health and physical education teacher education students in Massachusetts. (As published in Salem Patch, image via Salem State University).